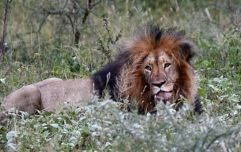 While there is no doubt that recent years have seen an improvement in the way mental health is discussed in the media and society at large, among young men especially, opening up about mental health problems can often still seem a topic that is difficult or awkward. In October last year, JOE partnered with mental health charity Time to Change, changing our logo from yellow to pink as part of an anti-stigma campaign encouraging people to show a genuine willingness to talk and listen by asking twice if they were worried how a mate was doing. We also found out about the incredible things that workplaces are doing to help those suffering with mental health issues, saw how football charities are helping to further discussion on the terraces and spoke to ambassadors who had experienced depression and anxiety first hand. Suicide remains the biggest killer of men under the age of 50, and it is expected that one in four people in the UK will have to deal with mental health problems in any given year. Which is why it's so important that we continue to encourage openness and understanding around the topic. 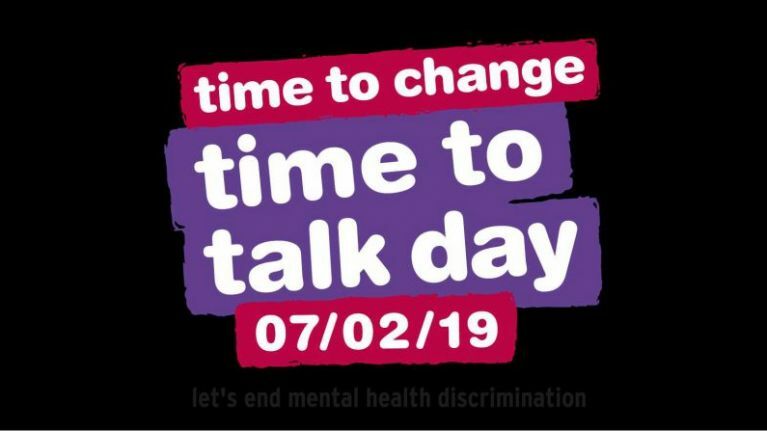 Held this year on 7 February, Time to Change's 'Time to Talk Day' is a reminder of the huge difference that being there for somebody can make, and is a chance to think about ways to ask a friend or loved one how they're feeling. The charity's message is a simple one: that whether it's close friends having tea and biscuits, or a room full of people challenging mental health stigma, they want people to get talking. Sometimes the best way to go about having these conversations can be when we're distracted by something else, like sport or a hobby, something that takes the pressure off the conversation. As campaign ambassador Lauren explains in Time to Change's five tips on getting people to open up, there is no 'right' way to talk about mental health, but sometimes thing are better when they're kept more casual. "It’s important that conversations happen at times and in places that feel natural," Lauren said. "Sometimes it’s easier to talk about our feelings when we are doing something else. Driving in the car; jogging around the park; eating breakfast in the cafe. The more typical the setting, the less unusual and uncomfortable the conversation can feel." And sometimes that's all you really need. Catherine, a 20-year-old who suffers from OCD, says that simply reaching out can make a difference to those who are suffering. "I used to take 7 hours to get ready in the morning just to get downstairs from my bedroom, and even then I still might not feel safe/clean and I would have to wash my clothes with bleach," Catherine said. "I ended up getting sores on my arms, tummy and thighs and I could not sit down anywhere – when I walked I would have my arms at a 90-degree angle away from my body to stop my hands and arms being contaminated by my clothes. "Having people reach out to me when I was feeling practically housebound was incredibly important." Our conversations might happen at different times and in different places, but ultimately, the more we talk about mental health in general, the better it will be for everybody's wellbeing. Together we can make sure the people we care about feel supported and able to let everyone know about the way they are feeling. You can find out more about Time to Change's 'Time to Talk Day' on their website.